The Hungarian Franz Liszt Chamber Orchestra that was founded in 1963 from the former students of the Franz Liszt Music Academy, is one of the most famousensemble of the Central European region and they are well known in the international music sphere for decades. They played in prestigious concert venues such as the Carnegie Hall in New York, the Suntory Hall in Tokyo, the Opera in Sydney, the Théâtre de la Ville in Paris and the Concertgebouw in Amsterdam. The first artistic director of the ensemble was Frigyes Sándor, who was also professor of the Franz Liszt Music Academy- he played a huge role in the work of the orchestra. After his death in 1979, János Rolla continues his work as the concert maestro of the ensemble. Its repertory spans almost the entire history of music from Monteverdi, Bach, Vivaldi, Mozart to the romantics and to the 20th century composers. The orchestra has recorded more than 200 discs for publishers such as the Sony Classical, the CBS, the Teldec, EMI, Erato, Denon or the Hungarian Hungaroton. 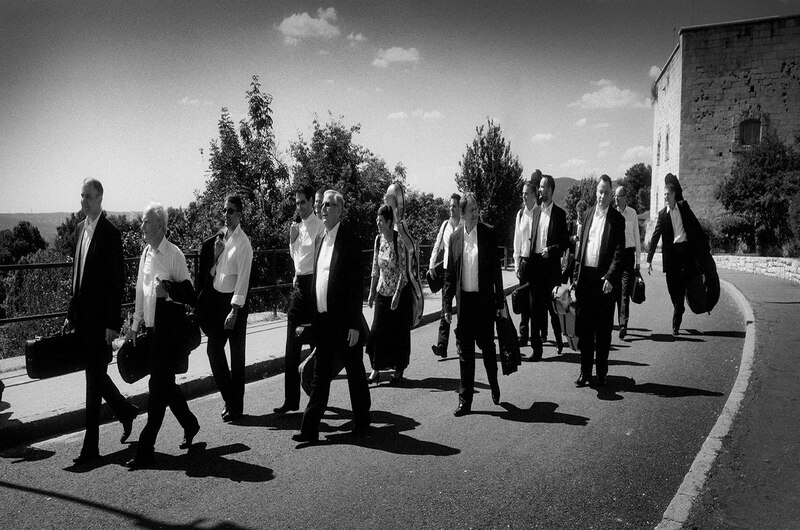 The orchestra was awarded the Grand Prix of the French Académie de Disque in Paris on three different occasions and has the “Record of the Year” award in Hungary many times. The orchestra regularly tours almost in every European countries, in the USA, South America, Far East, Australia and performs at well known festivals such as Ascona, Besancon, Moritzburg, Edinbourgh, Bath, Flanders, Helsinki, Luzern, Gstaad, Montreaux, Prades and Santander. Their first USA tour was in 1975 that was followed by several concerts in more than 260 cities in the country and in Canada as well. On its concerts and recordings, the Orchestra featured such world famous soloists as: S. Richter, Sir Y. Menuhin, A. Fischer, J. P. Rampal, Isaac Stern, H. Szeryng, M. André,Albrecht Mayer, M. Argerich, I. Oistrakh, M. Perényi, M. Rostropovich, A. Schiff, Z. Kocsis, D. Ránki, T. Vasary, P. Frankl, G. Pauk, S. Mintz, V. Repin, Midori, J. Starker, R. Raimondi, E. Gruberova. The Franz Liszt Chamber Orchestra consists of 16 strings and according to the programmes a harpsichord soloist completes the ensemble, as well as wind and other instrumentalists. They rarely use a conductor, the play under the leadership of János Rolla. 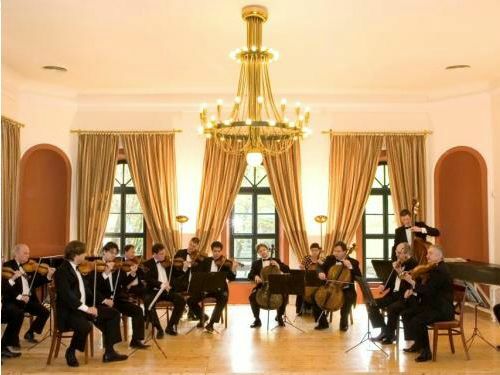 The ensemble that will celebrate its 45th anniversary, became the representative not only of the Hungarian but the international classical music life as well and they try to make the world famous Hungarian string traditions popular everywhere in the world.